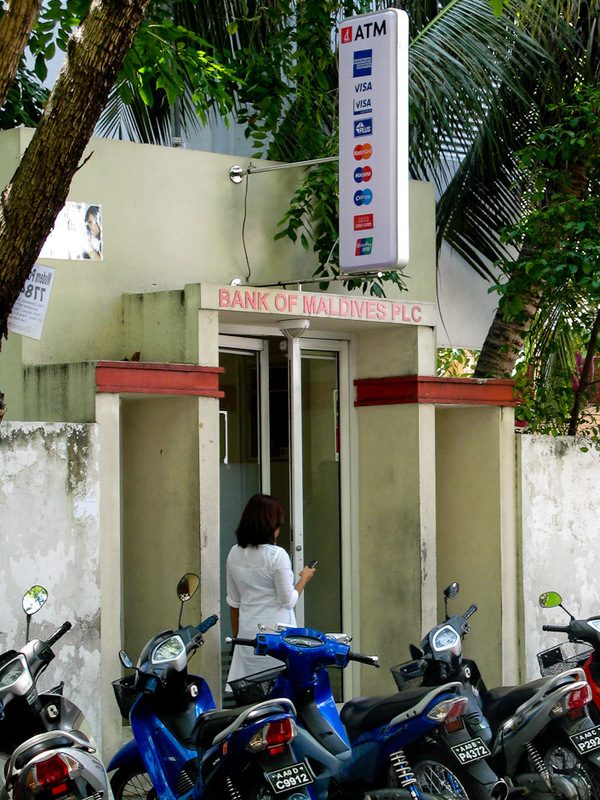 A girl checking her phone while waiting patiently at the ATMs. Beginning of each calendar month is usually a busy time at BML ATMs. I remember once I had to wait an in the line for a solid hour just to take out some cash! And I hate people who has has more than 10 cards (mostly of their family or friends). It seems lately, its always the guy just in front of me who will need to do multiple transactions on the ATM. Express ATMs? Need more ATMs? No. Need less cash. that is more eft terminals at shops. and merchants who allow cash outs at shops using debit cards. Who doesn't ..I also need some cash..please.